Mumbai: He brought a refreshing change to fielding with his athleticism in his playing days. Now, Jonty Rhodes is using his acrobatic skills on the Mumbai roads to keep himself fresh amid non-stop cricket. 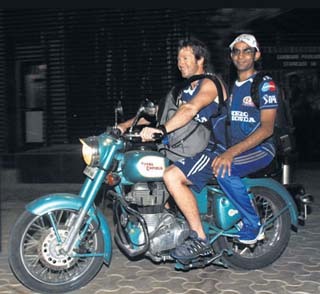 Rhodes, the former South African player and Mumbai Indians' fielding coach, has come up with an innovative idea to break monotony riding a motorbike to work. 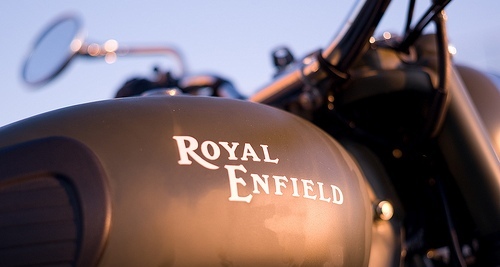 "In a team environment, you are all the time in the team hotel and it's a nice release even if it is for two-and-half minutes down the road," said Rhodes who has been arriving for practice in a Royal Enfield. Mumbai take on Pune Warriors today at the DY Patil Stadium in Navi Mumbai. The ordinary Mumbaikar might find the city's congested roads frustrating, but Rhodes actually loves them. "It's nice to be outside and enjoy the traffic in Mumbai. We dodge and dive around in the stadium and I am enjoying dodging the traffic," he said on the sidelines of a practice session at the Wankhede Stadium. "Elsewhere in India you go out of the city after two to three hours of riding, while in Mumbai you can ride for three hours and still be in the city," he chuckled. Enfield have ensured that Rhodes does not miss his bike wherever he is travelling. "If I have time, I just write to the company and they send one to me wherever I am. Jaipur was brilliant. It is a demo model so, it is okay even if I scratch it here or there," he said. Rhodes said he also enjoyed his holiday in Kashmir before the preparation for IPL began. "I did snowboarding. We don't get that much snow in South Africa, so it was nice. Being on the top of the mountain was scary, but it was fun," he said.